Our proprietary marketing process has a competitive advantage over other search firms. Find out what sets Gold Hill apart from the rest. Contact us to find out more about our marketing successes and processes. Our task is to make the process open and inclusive without losing sight that the ultimate selection of a president is that of the board. 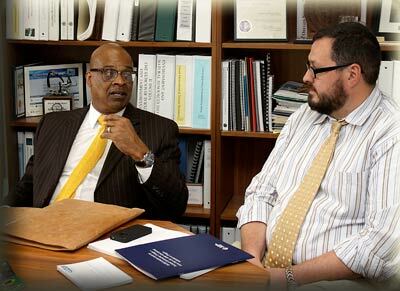 The Gold Hill Associates goal is to establish for the college an open and inclusive search process. Work with constituencies to establish needs for new leadership of the institution. Work with search advisory committee to develop search profile for the position which is recommended to the board for approval. Assist the public information and human resources offices in developing advertisements and brochures. Recruit outstanding candidates for the position. Recruiting is one of the most overlooked aspects of the search. The best candidates are not perusing the trade publications looking for jobs. Recognizing that advertising the position is not enough, we recruit individuals who are successful, effective leaders. Thanks to our extensive contacts throughout the country, we have an outstanding record in recruiting excellent candidates to the presidency. Screen candidates and assist the search advisory committee review the pool of candidates. Our vast experience serves committees well as they begin to narrow the pool. Hone the list of finalists to be interviewed on campus by working with the advisory committee to narrow the list. Perform thorough and exhaustive reference checking of candidates. We share everything we know with the board; there will be no surprises once the search is complete. Work with the search liaison to arrange an inclusive interview process. This is an inclusive interview process for each candidate that allows all constituents of the college – faculty, staff, administrators, students, and community – to meet the candidates and to provide feedback to the board. Assist in any way necessary such as provide sample questions, schedules, contract negotiation, etc. We are available continually throughout the process.